It's funny how you can miss the everyday little things that in the past you've taken for granted. For me, recently, it's been coming downstairs in the morning and being able to walk into the kitchen without stepping in some bodily fluid lovingly left for me by a certain little dog. Not having the house smell either of wee or of disinfectant….there seems to be no middle ground between the two, where there is just no smell. But by jove I think we've got it. You see, Mr B and I have had enough. Lucy is 3 months now. That's an entire month of hating the morning with a passion. We started crate training her from day one, which means she's more than comfortable to call the crate her bed. Finally her bladder seems big enough to go through the whole night without a whimper or complaint. 8 hours of blissful sleep and a clean kitchen. I can't really ask for more, can I? 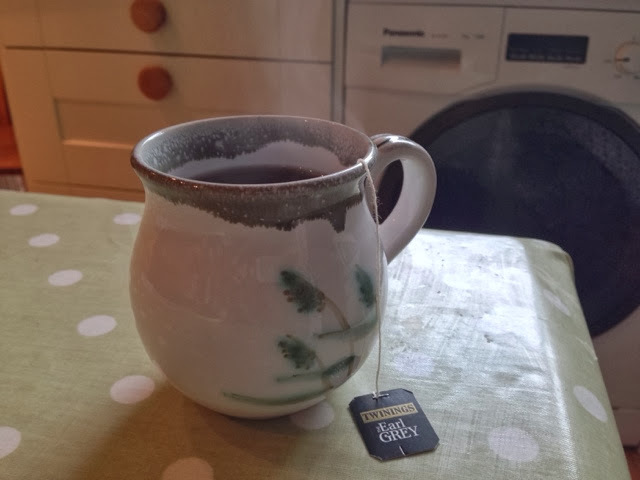 What's more, for various reasons, I've been completely off my morning cup of tea. The Earl and I have missed each other so. Quite honestly I've been despairing for the past month as a few things are going to change for us in the near future. I wondered if we'd done the right thing. Whether I've been stretching myself too thin. 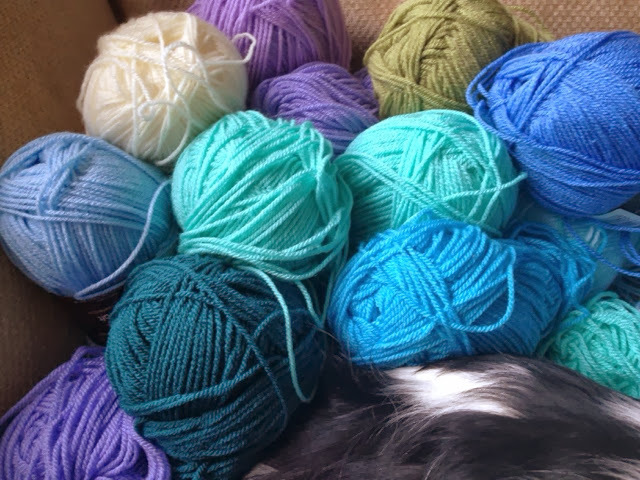 Puppies are hard work (hello understatement) and with all the changes that are happening, it's hard to not feel bogged under. With all this going on I've been having to remind myself to have some "me" time. 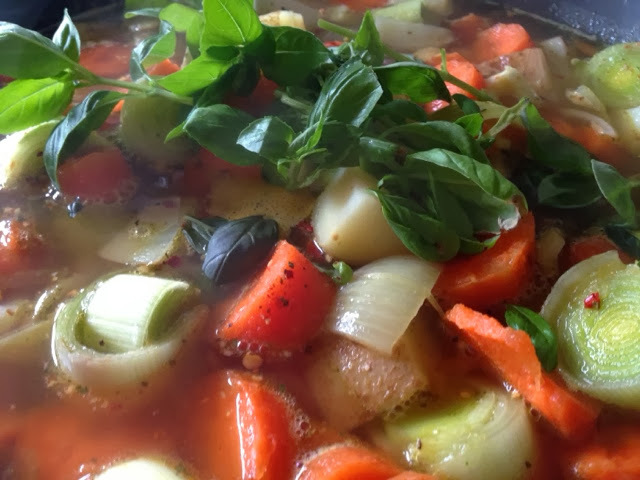 I've been stocking up on winter warming vegetable soup, which is utter heaven when it's cold and rainy outside. 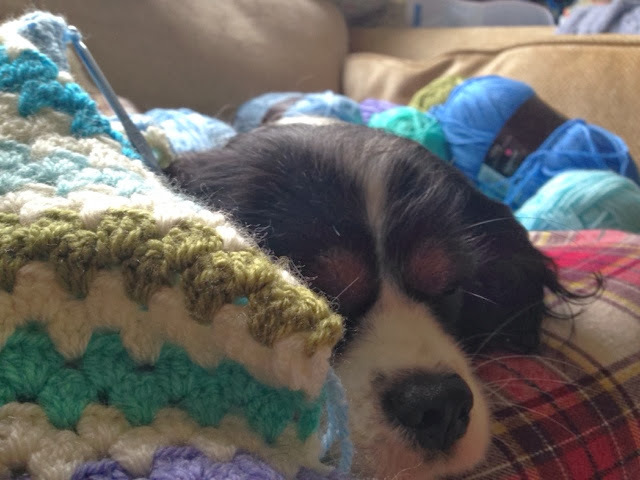 I've been continuing my granny stripe blanket, which is now big enough to keep me (and my little helper) nice and toasty whilst I hook away. Getting on top of this one little *by little I mean HUGE* achievement is a big step in the right direction. I'm sure everything else will slot neatly into place. Been there, done that as the Yanks say! You are blessed with a healthy and beautiful family, Howard is priceless, Lucy is well worth hanging on to (3 months is nothing Dear) and the future... Well, everything has a time and place. Hang in there! 'ME' times are very important, you are worth it! I'm smiling as I read your post. I have a West Highland Terrier, and nothing could have prepared me for the way he was going to turn our lives upside-down when we got him almost two years ago. There were many times I would look at him and say, "It's a good thing you're so cute!' Hang in there. They don't stay puppies for long, and once that stage is past you will find yourself looking back at it with fond memories. ohhh cute cute pup! Those first few months are certainly the most challenging, and as lovely and adorable as puppies are you do occasionally find your self wondering if you've done the right thing.....but you certainly have! It will all become easy and second nature as the she gets older, and they are a joy! 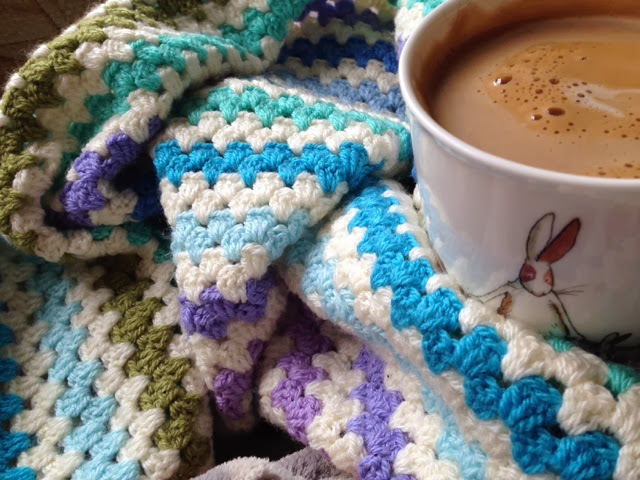 Loving your pretty crochet blanket too Ali! One minute I'll stand there and think "What am I doing? I'm crazy" (well, the crazy part is true) and then the next minute she'll be all snuggled on my lap, with Howard and I can't think of anything better.